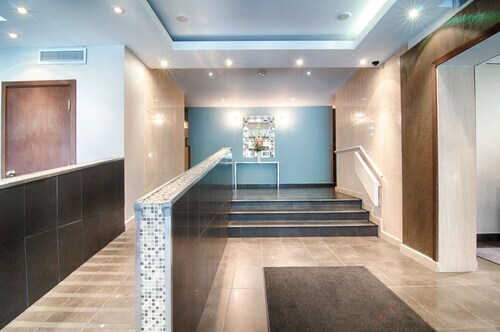 Located in Ville-Marie, this aparthotel is 1.1 mi (1.8 km) from Bell Centre and within 3 mi (5 km) of Notre Dame Basilica and Saint Joseph's Oratory. Olympic Stadium and Montreal Botanical Garden are also within 9 mi (15 km). Atwater Station is only a 4-minute walk and Guy-Concordia Station is 5 minutes. 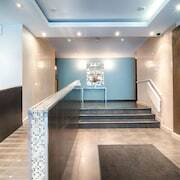 Located in Ville-Marie, this hotel is within a 5-minute walk of The Underground City and Sainte-Catherine Street. Place des Arts and St. Denis Theatre are also within 10 minutes. Saint Laurent Station is only a 3-minute walk and Place des Arts Station is 7 minutes. 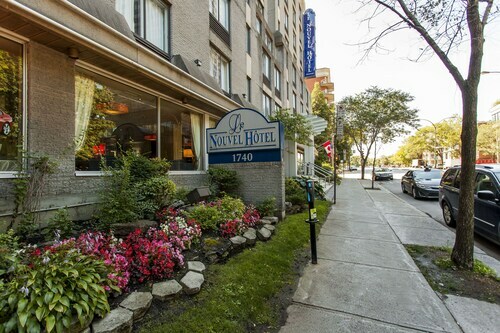 This downtown hotel on Sherbrooke Street is surrounded by businesses, boutiques, galleries, and restaurants; Bell Centre, the convention center, and Mount Royal Park (Parc du Mont-Royal) are within 5 blocks. Housed within a converted 1800s bank building, this European-style boutique hotel is in Montréal's historic district, surrounded by fine restaurants and shops, and 4 blocks from the Old Port. 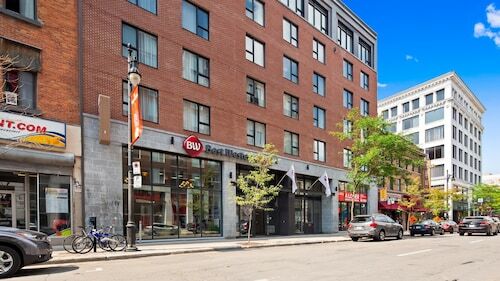 This downtown boutique hotel is within 2 blocks of the Bell Center and shopping district, and within 1 mile (1.5 kilometers) of Old Montreal. 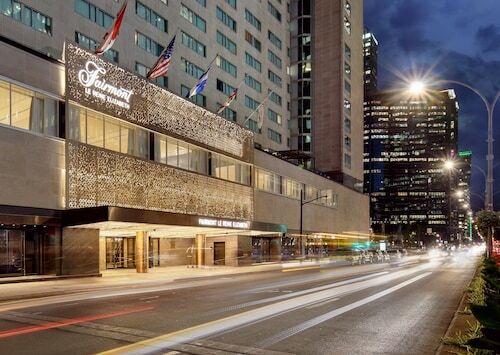 Located in Ville-Marie, this luxury hotel is within a 5-minute walk of The Underground City, Montreal Museum of Fine Arts, and Sainte-Catherine Street. McGill University and Bell Centre are also within 15 minutes. Peel Station is 5 minutes by foot and Guy-Concordia Station is 10 minutes. How Much is a Hotel Room in Montreal? 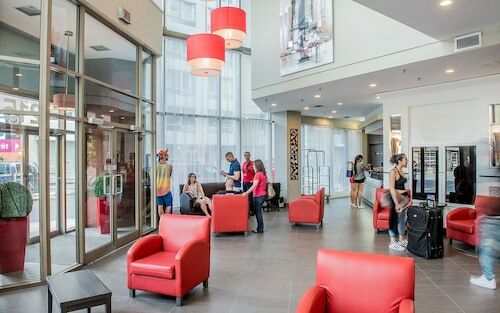 Hotels in Montreal start at C$53 per night. Prices and availability subject to change. Additional terms may apply. 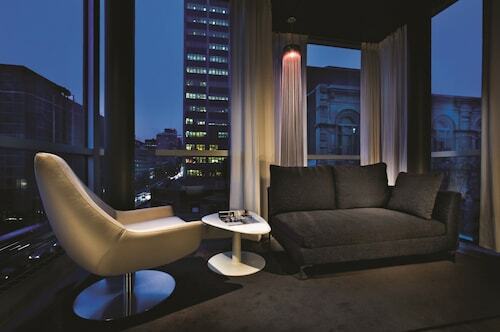 Montreal appeals to you as a refined traveler. Its ideal combination of French sophistication and Canadian hospitality has a certain “je ne saisquois” that lures you in like a French sonnet. Try as you may to ignore the siren song, you find yourself drawn to the largest city in Quebec like a moth to a delicate dancing flame. The city is not only Canada’s “Little Paris”—it’s also a hub of food, art, and culture. Yes, you’ll marvel at the architecture in between bites of poutine and explore Old Montreal after a mesmerizing tour of Basilique Notre-Dame just steps from the top boutique hotels Montreal has to offer. Montreal is a cosmopolitan city with a distinct flair all its own—and it’s full of surprises. You never know what charming shop or breathtaking building sits just around the next corner. 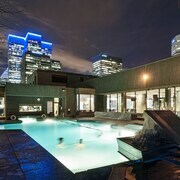 Travelocity is glad to help you uncover the secrets of this cultural mecca and decide where to stay in Montreal. 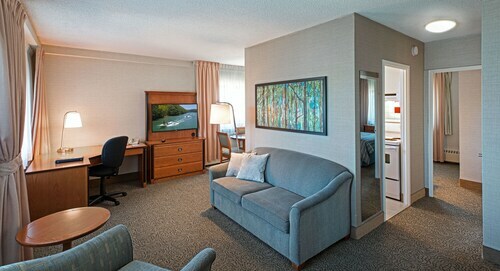 Accommodations in the metropolis provide access to unique and world-class cuisine, relaxing days in the park, and more. In fact, hotels in Montreal may have you feeling so fine that you decide to stick around a few extra days. A part of wandering wisely is knowing when to extend your vacation, after all. 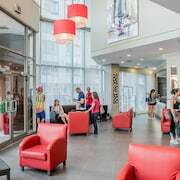 Loews Hotel Vogue: Loews is ideally located in the Garden Square Mile, mere steps from the Musee des Beaux-Arts de Montreal and a hop, skip, and brisé from Place du Canada. The hotel itself personifies sophistication, and services like shoe shining and suit pressing have you feeling like royalty. 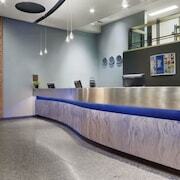 If you need any special treatment, the concierge is at your service. 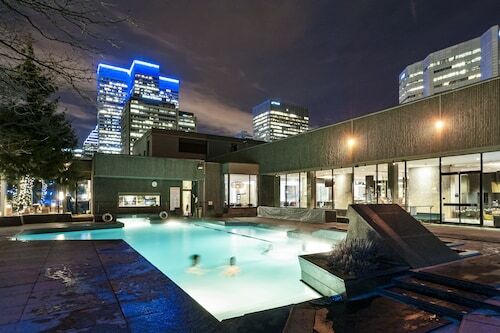 L Appartement Hotel: You won’t find many indoor rooftop pools, but this spacious hotel in Le Quartier des Spectacles delivers just such an amenity which makes it one of the best places to stay in Montreal. 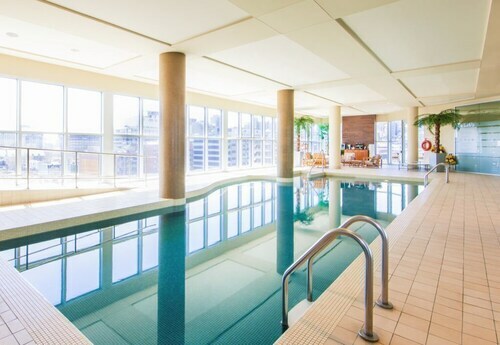 After your morning laps, you’ll soak up some rays on the adjoining sun deck, and then you’re off and walking to the Place des Festivals and La Maison du Festival Rio Tinto Alcan. Hotel Omni Mont-Royal: You like your vacation to drip in elegance, so Hotel Omni is the natural place for you to lay your head. 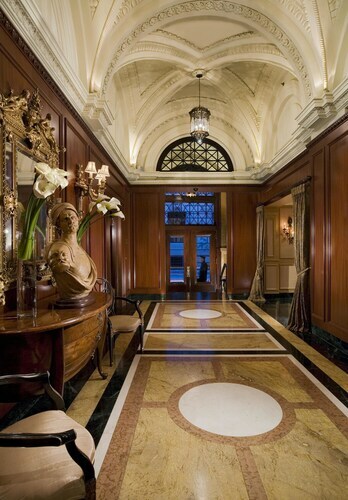 From the moment you check in, the upscale accommodations remind you to treat yourself. There are no more than 12 rooms per floor, putting your privacy paramount. When you want a taste of the city, look no further than Chef Laurent Miot’s daily menu in the restaurant. 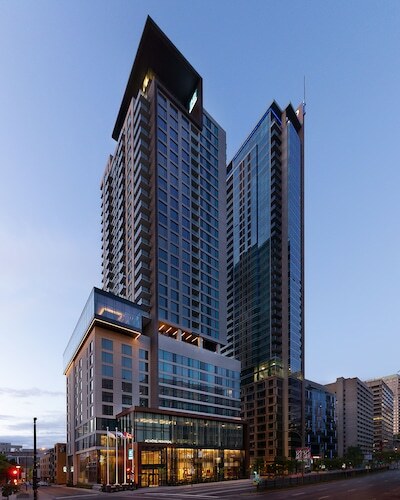 Fairmont The Queen Elizabeth: This one-of-a-kind hotel has its eye on becoming the premiere accommodation. And with a stellar wellness center and urban market, it’s on its way. 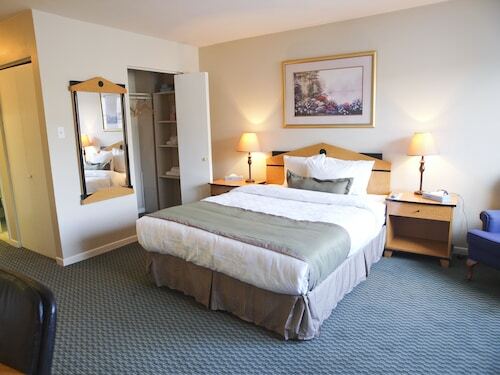 Back in your room, you’ll find yourself in the gentle embrace of upscale linens and innovative art. 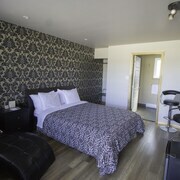 Book the John Lennon and Yoko Ono room, and you’ll have a better stay than you could imagine. The glitz and glam of modern Montreal will catch your eye, but there is a charm about Old Montreal that can’t be denied. 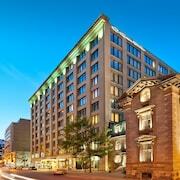 Book Montreal lodging in the historic district, and you’ll practically feel like you stepped back in time. The Place d’Armes is more than just the site of Celine Dion’s wedding. It’s also flanked by the old Bank of Montreal and the Aldred Building. Keep your shutter finger handy, because the steeple of Montreal Town Hall and bright awnings of Bonsecours Market are begging to be captured on film. Delight your taste buds, why don’t you? A scrumptious brunch at Olive &Gourmando’s or satiating dinner at Le Bremner will endear you to Old Montreal all the more. Whether you have gravy-smothered poutine on the brain or a tour of historic Montreal sings to your academic-loving heart, you can’t help but be drawn to Quebec. 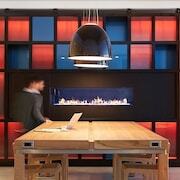 Thanks to cheap hotels in Montreal, you can wander wisely without spending a king’s ransom. How divine, indeed.